#BeginnersCourse number 5 kicked-off at #ProKick #HQ in #2017 -Tuesday 14th March 2017 saw a new class which got straight into action as the newbies worked through #fundamentals of #fitness, elements of self-defence and all of this on the first night. All the newcomers had their first taste of ProKick's no-nonsense approach to fitness, all ProKick kickboxing style - and it all kicked-off Tuesday 14th March 2017. 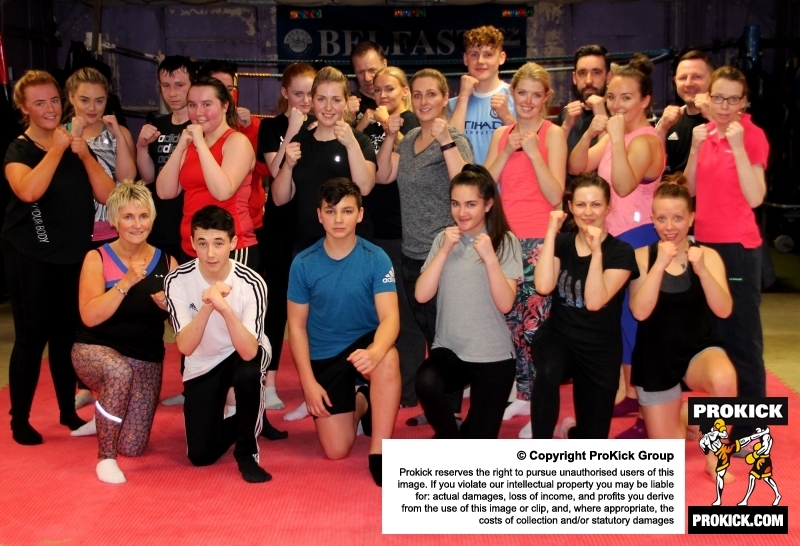 At ProKick, new starts worked through the fundamentals of fitness, Elements of self-defence and the basics of ProKick kickboxing was explained, and all on the first night. Don’t worry if you couldn’t start on this course, we have regular Beginners courses running for those looking to get into shape, so you’ll have no excuse not to get involved, We take everyone and no matter what your needs you will achieve it here at ProKick home of Champions. There are currently no comments registered for this article. To add your voice, or leave a message, fill in the form below. Remember personal information Notify follow-up comments?